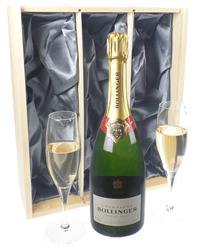 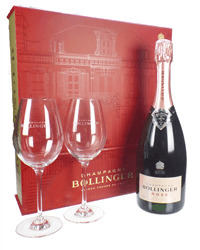 Bollinger Champagne and flute glasses makes the perfect gift to celebrate any occasion. 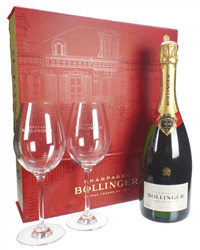 Our selection of Bollinger Champagne gift sets with flute glasses includes Rose, Brut and Vintage Champagnes with a choice of branded or plain flutes. Simply order online or by phone and we will deliver your gift, beautifully presented with your personal gift message.